When American Career Institute abruptly closed its eight campuses, Matthew Robbins was among the more than 1,000 students left on the wrong side of the for-profit college’s locked doors. The Abington, Massachusetts, resident had just weeks remaining in an 18-month program before he would receive a certificate in computer network design. Then came the January 2013 closing and a realization that more than a year of education was essentially worthless; Robbins’ credits wouldn’t transfer to another college, and he couldn’t find a similar program nearby. So he gave up on higher education for the time being and focused on his job. Robbins is one of tens of thousands of former students who have been shut out of closed colleges — both for-profit and nonprofit. 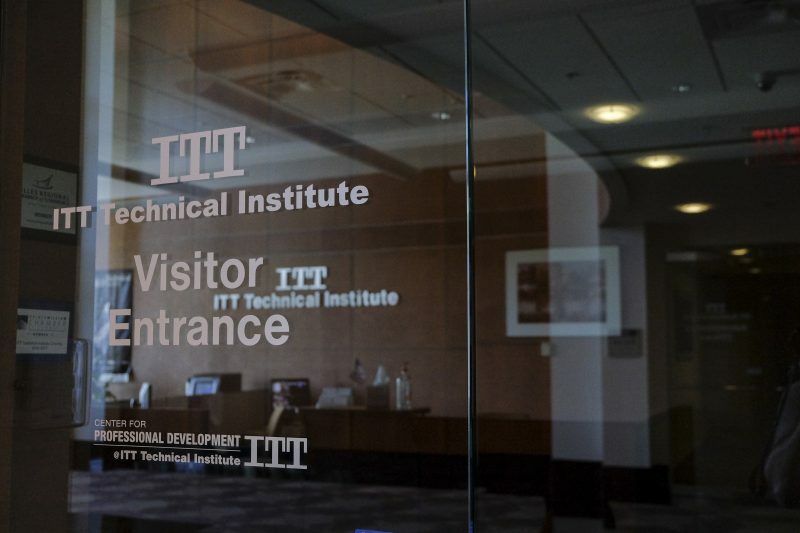 Another 40,000 are about to join them with the collapse of ITT Tech and its more than 130 campuses. Perhaps the most disturbing part of the trend: Nobody knows what’s happening to these displaced students, and many fear thousands may be giving up on college altogether, exactly when the country is falling behind its goal to increase the proportion of the population with degrees. Forty-seven percent of federal loan recipients whose colleges and universities closed from 2008 to 2011 neither had their loans forgiven by the Education Department nor received federal aid to attend other schools within three years of their schools’ closing, according to The Institute for College Access and Success, or TICAS. That means those students have been left in debt with little or nothing to show for it. The potential effect is huge. From the 2011-12 academic year through 2014-15, according to TICAS, 182 colleges closed — 150 of them for-profit — affecting more than 43,000 students. It’s essential that schools that are closing work with federal and state governments to avoid leaving students at a dead end in their educations, said Steve Gunderson, a former Republican congressman and president of Career Education Colleges and Universities, an association of mostly for-profit schools. When a college closes, state and federal regulators generally provide students with a list of “teach-out” schools able to help them complete their degrees or certificates. The problem, critics say, is that those schools are often for-profit colleges with their own sketchy histories and a hunger for tuition money and the federal aid that comes with it. In some cases, things work out for the best. After for-profit Ashford University’s Davenport, Iowa, campus closed earlier this year, neighboring nonprofit St. Ambrose University came to the rescue. The liberal arts university now enrolls about 40 former Ashford students, said John Cooper, St. Ambrose’s vice president for enrollment management. “There’s been a real effort on the part of Ashford and St. Ambrose to make sure students don’t lose ground,” Cooper said. Joe Rhodes had been attending Ashford on full academic scholarship when the school closed. After Ashford and St. Ambrose agreed to split the cost of continuing his scholarship, he decided to finish his education at St. Ambrose. Yet thousands of other students may be slipping through the cracks when their schools close, especially those at for-profit colleges, who tend to have different life experiences than undergraduates at nonprofits. 182 colleges closed between 2011 and 2015, affecting more than 43,000 students. For one thing, about 70 percent of students at for-profit colleges are 25 or older — a significantly higher share than at traditional nonprofit schools — and nearly 80 percent of students at for-profits attend part-time. Students at for-profits often have spent several years working before deciding to attend college, so a shutdown sometimes leads to them choosing a job over continuing school elsewhere. That was the case with Pamela Pinto, 26, who was just a month away from finishing a certificate in dental assisting when her American Career Institute campus in Framingham, Massachusetts, closed in 2013. The school could not find any record of her coursework, she said, so she did not have the option to transfer to another school. It’s difficult to know whether experiences like Pinto’s and Robbins’ are the norm. That’s because nobody tracks what happens to students whose colleges and universities lock the doors. Will they forever be left seeking lower-paying jobs that don’t require college degrees? Will the bad experience lead them to encourage their children to focus on careers rather than school? In Massachusetts, officials have tried to make sure displaced students know their options. Attorney General Maura Healey has gone after for-profit schools aggressively, suing ITT and American Career Institute for allegedly defrauding students. After ACI closed in 2013, Healey’s office made thousands of phone calls to former students to gauge the full scope of the problem. The “boatloads of debt” borne by former students is a slap in the face after they received a substandard education, Healey said.